PORTSMOUTH, N.H. — (February 12, 2019) — Macquarie Infrastructure Partners (”MIP”) and Wheelabrator Technologies Inc. (“Wheelabrator”) announced today that MIP, acting through one of its managed funds, has completed the purchase of Wheelabrator from funds managed by Energy Capital Partners (“ECP”). MIP operates within the Macquarie Infrastructure and Real Assets (“MIRA”) division of Macquarie Group. PORTSMOUTH, N.H. — (October 2, 2018) —Energy Capital Partners (“ECP”) has entered into a definitive agreement to sell Wheelabrator Technologies Inc. (“Wheelabrator”, or “the Company”), a leading owner and operator of waste-to-energy (“WtE”) facilities, to Macquarie Infrastructure Partners (“MIP”), which operates within the Macquarie Infrastructure and Real Assets (“MIRA”) division of Macquarie Group. MIP will make the investment through one of its managed funds. PORTSMOUTH, N.H. — (July 2, 2018) — Wheelabrator Technologies Inc. announced today that it has confidentially submitted a draft registration statement on Form S-1 to the U.S. Securities and Exchange Commission (the “SEC”) relating to its proposed initial public offering. The size and price range for the proposed offering have not yet been determined. The offering is expected to commence after the completion of the SEC review process, subject to market and other conditions. DEESIDE, WALES – 25 January 2018 – Industry leading energy-from-waste operator and developer, Wheelabrator Technologies, has announced the award of the first round of community grants from the Wheelabrator Parc Adfer energy-from-waste facility, to help support and fund local initiatives across Deeside. KEMSLEY, ENGLAND – 25 January 2018 – Industry leading energy-from-waste operator and developer, Wheelabrator Technologies, has launched a new £50,000 community benefit fund to be awarded locally over the next two years. Now, charities, local community groups and organisations are being invited to apply to the Wheelabrator Kemsley (K3) energy-from-waste facility for funding to help boost community projects in Kent and the South East. FORT WASHINGTON, Pa. — October 19, 2017 — Thermostat Recycling Corporation (TRC) is pleased to announce that they have partnered with New Hampshire-based Wheelabrator Technologies (Wheelabrator) to assist in the collection of mercury-containing thermostats in Massachusetts. This collection program is part of the Mass Save energy efficiency installation and weatherization program, funded by a coalition of utility companies. KENT, ENGLAND - March 8, 2017 – Industry leading energy-from-waste operator and developer, Wheelabrator Technologies has announced a new public consultation on proposals that will enable the Wheelabrator Kemsley facility to generate more clean energy for homes and businesses. LONDON, ENGLAND — December 15, 2016 — Wheelabrator Technologies today reached financial close on a new 200,000 tonnes per year energy recovery facility, with construction to commence in January 2017 on the Deeside Industrial Park in Flintshire, North Wales. SAUGUS, Mass. — (December 2, 2016) — Wheelabrator Technologies has received the Wildlife Habitat Council (WHC) Conservation Certification for the Bear Creek Wildlife Sanctuary at Wheelabrator Saugus, demonstrating the company’s commitment to environmental stewardship. 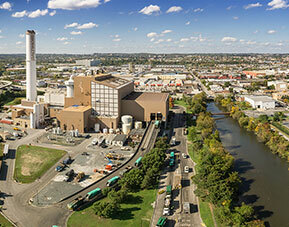 Wheelabrator operates energy-from-waste facilities, ash monofills and independent power producing facilities across the U.S. and U.K. including four facilities in Massachusetts located in Saugus, North Andover, Millbury and Shrewsbury. Businesses from across North Wales are invited to attend a second Meet the Buyer event as Wheelabrator Technologies nears the start of construction for its Parc Adfer energy recovery facility in Deeside. LONDON, ENGLAND — (July, 28, 2016) Wheelabrator Technologies today reached financial close on a new 550,000 tonnes per year energy-from-waste facility at Kemsley in Kent. The Environment Agency has issued Multifuel Energy Ltd (MEL) with an Environmental Permit for the Ferrybridge Multifuel 2 (FM2) project in West Yorkshire. Multifuel Energy Ltd (MEL) has today [28 October] welcomed the Secretary of State’s decision to grant planning consent for the Ferrybridge Multifuel 2 (FM2) project in West Yorkshire. The supply chain network across Flintshire and North Wales has been described as ‘first class’ by the team tasked with delivering the Parc Adfer energy recovery facility, following a successful Meet the Buyer event last week. Businesses from Flintshire and Chester are among the first local companies to win contracts on the Parc Adfer project, helping to prepare the future energy recovery facility site for construction. Energy from waste developer Wheelabrator Technologies Inc. has opened another new phase in its continuing UK growth by announcing plans for a Meet the Buyer event on its Parc Adfer project in North Wales. HAMPTON, N.H. — (July 9, 2015) — Wheelabrator Technologies Inc. (Wheelabrator) today announced Robert “Bob” C. Boucher Jr. as the new president and CEO effective July 13, succeeding Mark A. Weidman. The Ferrybridge Multifuel 1 (FM1) project has successfully completed its commissioning phase and has now entered full commercial operation. The Ferrybridge Multifuel 1 project has achieved a major safety milestone and marked the occasion by donating £9,000 to local charities. 15 June, 2015 - The Ferrybridge Multifuel 1 (FM1) project which is under construction at Ferrybridge has cleared another major milestone in the commissioning process, with the plant exporting electricity to the grid for the first time. BALTIMORE, MD. — (April 27, 2015) — Renewable energy provider Wheelabrator Technologies Inc. is bringing students from around the country to Baltimore May 4-7 for its 21st annual Wheelabrator Symposium for Environment and Education, an innovative educational program that has inspired thousands of middle school students to become environmental leaders in their communities. FLINTSHIRE, NORTH WALES - (May 22, 2015) - Wheelabrator Technologies Inc. is delighted that Flintshire County Council's Planning and Development Control Committee has voted to award planning consent to the Parc Adfer Energy Recovery Facility on the Deeside Industrial Park. We appreciate the time taken by both councillors and officers to ensure a robust final decision has been made. HAMPTON, N.H. - (May 13, 2015) - Wheelabrator Concord visited the Penacook Community Center today (Wednesday) to deliver a $2,000 donation, renewing a 10-year partnership. The Ferrybridge Multifuel 1 (FM1) project under construction at Ferrybridge has cleared another major milestone in the commissioning process. Both of the boiler lines have undergone their 'first fire', which means that solid fuel has been burned for the first time at the new power station. Hampton, NH. — (May 1, 2015) — Renewable energy provider Wheelabrator Technologies Inc. has announced naturalist David Mizejewski of the National Wildlife Federation will be the keynote speaker at the 21st annual Wheelabrator Symposium for Environment and Education. The event will be held in Columbia, Marylan May 4-7. Mizejewski will be joined by luminaries Dr. Bryan Kent Wallace of Fisk University, Dr. Merilyn Johnson from Broward County Florida Public Schools and Casey E. Shaw of Portsmouth, Virginia’s Elizabeth River Project — all named to the event’s VIP panel. HAMPTON, N.H. — (May 1, 2015) — Demonstrating ways Baltimore residents can save energy and live more efficiently. Working to provide habitats for migratory birds in their Pennsylvania community. Promoting sustainable practices at a local park and monitoring the health of a New York lake. Working to certify a South Florida city as a wildlife sanctuary. Coral Springs, Fla. — (April 17, 2015) — As part of their participation in the 21st annual Wheelabrator Symposium for Environment and Education, Sawgrass Springs Middle School students are creating an educational campaign to inform Coral Springs residents about the dangers of plastic bags and promote the use of reusable bags. Hollywood, Fla. — (April 9, 2015) — As part of their participation in the 21st annual Wheelabrator Symposium for Environment and Education, McNicol Middle School students are collaborating with the Brighter Future Foundation for a tree giveaway and campaigning to establish the City of Hollywood as a Certified Wildlife Habitat. MILLBURY, Mass. — (April 8, 2015) — A team of Millbury Junior High School students are developing an elementary science curriculum and recycling plan as part of an environmental education program sponsored by Wheelabrator Technologies’ Millbury energy-from-waste facility. PORTSMOUTH, Va. — (February 17, 2015) — Renewable energy provider Wheelabrator Portsmouth was recently recognized for its environmental initiatives to help protect the Elizabeth River by receiving the 2015 Inside Business River Star Hall of Fame Award. PEEKSKILL, N.Y.— (February 4, 2015) — Wheelabrator Technologies Inc. recently celebrated a major operational milestone when the total volume of trash processed at the Wheelabrator Westchester energy-from-waste plant surpassed the 20 million ton mark. Ferrybridge Multifuel 1 (FM1) is nearing the end of the main construction phase and all of the staff that are needed to bring the plant through commissioning and into full commercial operations phases have now been recruited and started their operational roles on-site. SAUGUS, Mass. — (December 23, 2014) — Employees of Wheelabrator Saugus brought the holiday spirit to students at Ballard Early Childhood Center recently when they stopped by with holiday gifts for all of the children. HAMPTON, N.H. — (December 23, 2014) — Wheelabrator Technologies and its employees are making this holiday season a little brighter for 60 area senior citizens. In its 16th annual holiday giving program, Wheelabrator employees purchased gifts for seniors served by Rockingham Nutrition & Meals on Wheels (RNMOW). HAMPTON, N.H. — (December 19, 2014) — Wheelabrator Technologies Inc. today announced the close of its $1.94 billion acquisition by Energy Capital Partners from Waste Management. A definitive agreement for the sale was previously announced July 29, 2014. HAMPTON, N.H. — Nov. 25, 2014 — Wheelabrator Technologies, a worldwide leader in converting everyday household and commercial waste into clean energy, is pitching in to help those in need this holiday season. SAUGUS, Mass. — Oct. 11, 2014 — A new fire rescue boat donated by Wheelabrator Saugus will enhance response times by emergency crews on local waterways. SAUGUS, Mass. — Oct. 6 2014 — Special Olympics organizer Steve Agganis recognized Wheelabrator Saugus this week for its long-standing support of the Agganis Special Olympics. HOUSTON — July 29, 2014 — Waste Management, Inc. (NYSE:WM) has agreed to sell Wheelabrator Technologies Inc. (“WTI”) to an affiliate of Energy Capital Partners (“ECP”) for $1.94 billion in cash. POUGHKEEPSIE, N.Y. — July 25, 2014 — The Dutchess County Resource Recovery Agency reported that Wheelabrator Technologies Inc. has officially begun operations of DCRRA’s waste-to-energy facility located in Poughkeepsie, New York. The new operations contract, which followed a competitive procurement process earlier this year, began July 1, 2014 and runs through June 30, 2027, with two six-year extension options. BRIDGEPORT, Conn. — July 25, 2014 — Wheelabrator Technologies announced it has renewed long-term waste disposal agreements with 10 greater Bridgeport area communities. SAUGUS, Mass. — June 16, 2014 — Attending Sacred Heart University this fall will cost a Triton Regional High School graduate $5,000 less thanks to a scholarship from Wheelabrator Saugus. HAMPTON, N.H. — June 1, 2014 — With the support of sponsor Wheelabrator Technologies, third-generation ocean explorer Fabien Cousteau today launched Mission 31, a 31-day long research mission in the Florida Keys National Marine Sanctuary aboard Aquarius, the only underwater marine habitat and lab in the world. PEEKSKILL, N.Y. (May 21, 2014) — Wheelabrator Westchester and White Plains Linen have received a 2014 Earth Day Award from Westchester County for a first-of-its-kind renewable energy project in the City of Peekskill. SUNRISE, Fla. — May 6, 2014 — Protecting South Florida’s coastal areas, exploring the impact of urban development on the Hudson River Estuary and raising awareness about Atlantic menhaden fish populations are just a few of the sustainability projects middle school students will present today at the 20th annual Wheelabrator Symposium for Environment and Education in Sunrise, Florida. CONCORD, N.H. — May 2, 2014 — Renewable energy provider Wheelabrator Concord, L.P. marked 25 years of operational and environmental excellence today at an anniversary celebration at which employees, customers, community partners, and state and local officials saluted the waste-to-energy facility’s role in generating safe, reliable power for Granite State residents and municipalities. HAMPTON, N.H. — May 1, 2014 — Renewable energy provider Wheelabrator Technologies will provide live online video coverage of its annual youth environmental summit for the first time in the 20-year history of the company’s flagship community engagement program. HAMPTON, N.H. — April 25, 2014 — Renewable energy provider Wheelabrator Technologies Inc. has announced its panel of environmentalists, educators and business leaders for next month’s 20th annual Wheelabrator Symposium for Environment and Education. HAMPTON, N.H. — April 22, 2014 — As America celebrates Earth Day today, students at 15 middle schools across the East Coast will be putting the finishing touches on sustainability projects they will present next month at the 20th annual Wheelabrator Symposium for Environment and Education in Broward County, Fla.
WORCESTER—Wheelabrator Millbury will sponsor free “Millbury Days” as well as volunteer efforts involving residents from throughout Greater Worcester at Mass Audubon’s Broad Meadow Brook Wildlife Sanctuary, the company and the respected conservation organization announced today. WESTVILLE, N.J. — March 26, 2014 — Wheelabrator Technologies, a worldwide leader in converting everyday household and commercial waste into clean, renewable energy, was recently honored by the New Jersey Department of Environmental Protection (NJDEP) with an environmental stewardship award for its proactive engagement in sustainability initiatives at its Gloucester waste-to-energy facility. LAKELAND, Fla. — March 25, 2014 — Renewable energy provider Wheelabrator Technologies is partnering with third-generation ocean explorer Fabien Cousteau to celebrate the 20th anniversary of the Wheelabrator Symposium for Environment and Education, an innovative educational program that has inspired thousands of middle school students to become environmental leaders in their communities, including students from Lawton Chiles Middle Academy. SAUGUS, Mass. — March 25, 2014 — Renewable energy provider Wheelabrator Saugus has answered the call for help from the Saugus Fire Department. BRIDGEPORT, Conn. — March 17, 2014 — Students from Park City Magnet School will investigate environmental threats to the lobster population in the Long Island Sound and will help organize a local beach cleanup as part of a project they will present in May at the 2014 Wheelabrator Symposium for Environment and Education. PEEKSKILL, N.Y. — March 17, 2014 — Students from Peekskill Middle School will study the impact of urban and industrial development on the health of the Hudson River as part of the 2014 Wheelabrator Symposium for Environment and Education. ANNAPOLIS, Md. (March 14, 2014) – Inashco BV and Wheelabrator Technologies Inc. today announced the formation of a new North American-based joint venture company dedicated to the recycling of ferrous and nonferrous metals from the waste-to-energy process. FORT LAUDERDALE, Fla. – March 6, 2014 – As part of their participation in the 20th annual Wheelabrator Symposium for Environment and Education, New River Middle School science students are determining whether the water that finds its way to the Atlantic Ocean from Hugh Taylor Birch State Park is acceptable for the marine habitat. About 30 students, who have been collecting water and analyzing data for several months, will visit the park Wednesday, March 12 at 11:30 a.m. to continue their efforts. BALTIMORE, Feb. 26, 2014 — Veolia Energy North America, a leading operator and developer of efficient energy solutions, and Wheelabrator Technologies Inc, a renewable waste-to-energy company with operations in Baltimore since 1985, have extended their 28-year partnership after the two companies recently completed a contract renewal. HAMPTON, N.H. — Dec. 19, 2013 — Employees at Wheelabrator Technologies, a worldwide leader in converting everyday household and commercial waste into clean energy, are hoping to make a difference this holiday season for families in need by donating 26 hams and $750 in Hannaford gift cards to local food pantries. SAUGUS, Mass. — DEC. 19, 2013 — The spirit of giving was in full force at the Ballard Early Childhood Center when a group of “elves” from Wheelabrator Saugus stopped by to deliver presents to the students. DAVIE, Fla. — December 6, 2013 — Wheelabrator Technologies, a worldwide leader in converting everyday household and commercial waste into clean energy, was a proud sponsor of Young At Art Museum’s 8th Annual Recycled Fashion Show, Superheroes: Restyled held Nov. 15. Wheelabrator Technologies Reminds Residents to Recycle Often. Recycle Right. BOSTON — Nov. 14, 2013 — In recognition of America Recycles Day on Nov. 15, Waste Management (NYSE: WM) today announced that at the Deutsche Bank Championship, 100 percent of tournament waste was diverted away from landfills and into recycling, waste-to-energy and composting facilities. Waste Management was an official tournament sponsor during the event held in Norton, Mass., over Labor Day weekend, Aug. 27 through Sept. 1, 2013. SAUGUS, Mass. — Sept. 13, 2013 — Wheelabrator Saugus has been a long-time participant in Founder’s Day and the residents who visited the company’s table at the town’s 34th annual celebration learned about the benefits of waste-toenergy and went home with a jar of fresh honey. PEEKSKILL, N.Y. (September 10, 2013) — Wheelabrator Westchester and White Plains Linen today announced a first-of-its-kind renewable energy partnership in Peekskill, which will enable the county’s largest commercial laundry operation to reduce its carbon footprint by 90 percent. SAUGUS, Mass. (August 29, 2013) — The Northeastern Conference recently honored Wheelabrator Saugus with the 2013 Community Service Recognition Award for its ongoing community engagement initiatives. SPOKANE, Wash. (August 21, 2013) — Wheelabrator Technologies has been named winner of the Solid Waste Association of North America (SWANA) Gold Excellence Award in the Waste-to-Energy category. SAUGUS, Mass. (JUNE 21, 2013) — Students from the Ballard Early Childhood Center explored the local ecosystem during a visit to the Bear Creek Wildlife Sanctuary located at Wheelabrator Saugus Tuesday. BRIDGEPORT, CT, June 12, 2013 -- Wheelabrator Bridgeport, L.P. today marked 25 years of safe, reliable and environmentally responsible operations at an anniversary celebration where current and former employees, customers, and state and local officials saluted the waste-to-energy facility’s role in generating reliable, renewable power for Connecticut residents and municipalities. HAMPTON, N.H. (MAY 31, 2013) - Third-generation ocean explorer Fabien Cousteau applauded the environmental work of 150 middle school students at the 19th Annual Wheelabrator Symposium for Environment and Education held earlier this month in Sunrise, Fla.
SUNRISE, Fla. — April 29, 2013 — Proud members of a new “green” generation, 150 middle school students will soon visit South Florida to present their 6-month sustainability projects to a panel of Wheelabrator partners at the 19th Annual Wheelabrator Symposium for Environment and Education. The day-long event will be held Tuesday, April 30 at the Doubletree Hilton in Sunrise, Fla.
BRISTOL TOWNSHIP, Pa. — April 25, 2013 — Today, Franklin Delano Roosevelt Middle School announced that it was awarded a Waste Management Think Green® Grant as part of the environmental services company’s nationwide effort to improve community environments through cleanups, beautification, recycling and educational programs. Nationwide, 50 grants were awarded. The school was nominated for the grant based on its participation in Waste Management subsidiary’s Wheelabrator Technologies 19th Annual Symposium for Environment and Education. SAUGUS, Mass. — Dec. 19, 2012 — Holiday spirit abounded at Ballard Early Childhood Center recently when a group of “elves” from Wheelabrator Saugus handed out gifts to each of the 100 preschool students. HAMPTON, N.H. — Dec. 21, 2012 — Employees of Wheelabrator Technologies delivered holiday cheer to Seacoast area seniors this season in the form of much needed food, clothing and gifts as part of its 14th annual holiday giving program. SAUGUS, Mass. — Nov. 20, 2012 — Wheelabrator Saugus Plant Manager Eric Lucier has the holiday spirit. Lucier and his fellow employees made a special delivery of food to the United Parish Food Pantry in Cliftondale Square last week, just in time for the Thanksgiving holiday. BALTIMORE — Nov. 16, 2012 — Baltimore Mayor Stephanie Rawlings-Blake and Wheelabrator Baltimore today recognized more than 700 municipal and private solid waste collection workers for their hard work in transporting more than 2,000 tons of post-recycled municipal waste each day to Baltimore’s waste-to-energy facility. MORRISVILLE, Pa. — Nov. 14, 2012 — At its 24rd Annual Symposium, Working for a Greener World, the Wildlife Habitat Council (WHC) presented Wheelabrator Falls with its Wildlife at WorkSM certification. This certification is part of 134 total certified programs for Waste Management at 116 sites company-wide. POMPANO BEACH, Fla. — Oct. 31, 2012 — With the lowest pricing, proven waste-to-energy technology, and no risk, Wheelabrator Technologies’ agreement with Broward County sets the standard for solid waste disposal. Now, Wheelabrator makes a great deal even better by introducing a new Loyalty Program that offers additional significant savings to its 20+ year municipal customers. BALTIMORE, MD. (July 20, 2011) – Mayor Stephanie Rawlings-Blake announced today the approval of long term waste disposal contracts with the Northeast Maryland Waste Disposal Authority and Wheelabrator (a subsidiary of Waste Management, and the only operating Waste to Energy facility in Baltimore.) These contracts will continue complimentary operational relationships resulting in waste diversion, revenue, recycled metals, reduced greenhouse gasses and energy savings for the City of Baltimore. POMPANO BEACH, Fla. — September 19, 2012 — SOS Children’s Villages - Florida, an organization that has helped raise more than 350 Broward County foster children, recently honored Wheelabrator Technologies Inc. at its annual Spirit of Home luncheon. POMPANO BEACH, FLA., — AUGUST 28, 2012 — The Broward County Commission today awarded Wheelabrator Technologies an exclusive, five-year contract for disposal of the county’s municipal solid waste and bulk trash. Effective July 2013, the agreement extends Wheelabrator’s long-standing relationship with Broward County. BYFILED, MASS. — July 27, 2012 — Triton Regional High School graduate Cam Loughlin was named the 2012 recipient of the Daniel P. Madigan Memorial Scholarship. NORTHBRIDGE, MASS. — July 27, 2012 — Northbridge High School graduate Thomas Stanovich was named the 2012 recipient of the Daniel P. Madigan Memorial Scholarship. Portsmouth, VA - The Portsmouth Department of Economic Development hosted its annual Business Appreciation Event on Wednesday, June 6, 2012. The purpose of the event was simply to say “Thank You” to Portsmouth businesses for doing business in the City and for their contribution to the economic growth of the community. The business community was invited to attend this networking event and enjoy the catering of Brutti’s Restaurant and the entertainment provided by Mansion Allure. SUNRISE, Fla. — April 30, 2012 — Stewards of the environment and advocates for sustainability, 130 members of a rising "green" generation will come forth to share their ideas at the 18th annual Wheelabrator Symposium for Environment and Education on April 30-May 3 in Sunrise, Fla.
SSE plc and Wheelabrator Technologies Inc. have entered into a 50:50 joint venture to develop a new £300m multifuel generation facility at SSE’s Ferrybridge power station in West Yorkshire. HOUSTON, Texas — March 16, 2012 — Waste Management (NYSE: WM) has been recognized by the Ethisphere Institute, the leading business ethics think-tank, as one of the 2012 World’s Most Ethical (WME) Companies. This is the fifth year the company has been honored for promoting the highest of ethical standards. Out of a record number of nominations for the award, WM secured a spot on the list by implementing and maintaining business practices and initiatives that are instrumental to the company’s success, benefit the community and raise the bar for ethical standards within the industry. BALTIMORE, Md. — February 14, 2012 — Today, Mayor Rawlings-Blake was joined by Department of Public Works Director Al Foxx, city employees, sponsors, and community leaders to announce and City’s first-ever Clean Community Competition. The contest offers participating communities an opportunity to win a $5,000 cash prize for their efforts to clean up their neighborhood. HUDSON FALLS, N.Y. — January 18, 2012 — After a competitive procurement process and seven years of proven operations, Wheelabrator Technologies Inc., a wholly owned subsidiary of Waste Management, purchased the Hudson Falls waste-to-energy facility from the Warren/Washington Counties Industrial Development Agency (WWIDA) for $3.13 million on Nov. 07, 2011. Wheelabrator assumed management of the operation, which is now officially called Wheelabrator Hudson Falls LLC. OLYMPIA—The Association of Washington Business proudly honored seven private employers today for their commitment to workplace excellence, innovation and safety. Waste Management's Wheelabrator Technologies Selected as Preferred Vendor to Build and Operate New Waste-to-Energy Facility in Frederick County, MD. Wheelabrator Baltimore Celebrates "Garbageman Appreciation Day"